The European financial crisis displayed numerous limitations in supervising the regulations of the financial sector, causing a severe disruption of the system. To reduce the intensity of the impact on the economy and to avoid a similar outbreak in future, the Group of Twenty (G20) helped establish the foundation of a new global financial regulatory framework to guarantee improved financial stability. The G20 agenda outlined a new prudential architecture that played a key role in shaping an integrated and global response to the ongoing crisis. The focus tapered down to the impact of new regulations on the business operations of European banks and the attempts to counter these regulations for their betterment. To address this, three new European supervisory authorities and a European systemic risk board were hired by the European commission to improve cross-border co-operation and consistent enforcement of rules. The idea was to connect the requirements of bank regulations with G20 commitments. So, why is it important to understand the downstream impacts of changing regulations on the financial markets? How are financial industries attempting to overcome these challenges? Before the onset of the crisis, many financial institutions were regulated through standards that were duplicative and inconsistent. Regulators worked together to reduce this friction caused by overlapping standards, which had the side-effect of creating an upsurge in regulations pertaining to Foreign Account Tax Compliance Act (FATCA), the Basel III Capital Requirements and the Markets in Financial Instruments Directives (MIFID). This regulatory reform for banks created a significant need for efficient governance processes that helped integrate regulatory compliance into their business models. In order to align with the acceptable international standards, the European government planned to integrate its financial services sector into a single market system. 80% indicated that the regulations are expected to revolutionise the usage of IT in business operations. Although many companies have sought to prepare themselves to adapt to the upcoming regulations, most of the survey respondents indicated that despite some readiness to meet these changes, their business operations were significantly impacted. Feedback from the companies participating in the survey showed that they had foreseen the regulations becoming more complex in the near future and had taken proactive steps by exploring partnership business models as a result. Along with the business processes, the respondents said that internal business operations were also affected. The survey further found that financial institutions were actively seeking out measures to optimise their operations, improve efficiency and reduce costs. This, in turn, is leading companies to leverage how they use IT to effectively tackle changing compliance. Although new regulations bring with them the challenges of re-orienting business operations, these regulations will in the long run offer significant cost savings and operational efficiencies for financial institutions in Europe. Companies who are quick to adapt to the changing market conditions will gain significant competitive advantage that will impact not only their market standing but also their bottom-line. 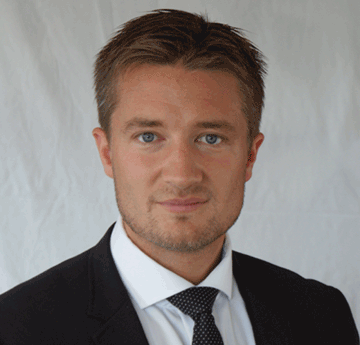 Henrik Crone is Director with TradeTech Consulting, a Virtusa company, where he is head of business development and new sales in the Nordic market. With well over a decade’s experience in managing projects at corporate treasuries, banks and central banks worldwide, he is a renowned treasury expert, ranging from business processes to technology. Crone’s knowledge spans the entire treasury function, including areas such as trading, clearing, settlement and compliance. His all-around competence also makes him an appreciated speaker and lecturer. Crone holds an MSc degree in Computer Science from Chalmers University of Technology , Gothenburg, Sweden. He has also studied business administration at the University of Gothenburg – School of Business, Economics and Law.